If you'd like to see if 100% Bovine Colostrum contains substances that are banned by your sports organization's Banned Substance List, sign up now or log in. Declared Ingredients Immunoglobulins IgG, Lactose, Essential Amino Acids (Isoleucine, Leucine, Lysine, Methionine, Phenylalanine, Threonine, Tryptophan, Valine), Non-Essential Amino Acids (Histidine, Alanine, Arginine, Aspartic Acid, Cysteine, Glutamic Acid, Glycine, Proline, Serine, Tyrosine). 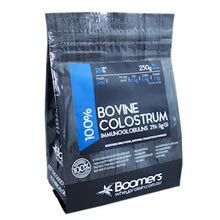 Ingredients: 100% Bovine Colostrum. Have a question about 100% Bovine Colostrum Use our secure online messaging system to ask our Aegis Shield Experts.